Richard Watkins Richards was born at Pembroke in Wales, on 19 July 1863. In 1890 in Sydney he married Minnie Adeline (b 1869), daughter of former Alderman John Booth. Sir Richard died at Elizabeth Bay on 12 March 1920, survived by Lady Richards. His burial at South Head Cemetery was preceded by a funeral ceremony at the Waverley Methodist Church at Bondi Junction. Richard Richards arrived as a child in Sydney where his father joined his uncle William Watkins as a railway construction engineer. He attended Cleveland State School and Fort Street High School. In 1879 he joined the Sydney City Council staff as an articled surveyor in the City Surveyor’s Department and became a surveyor and draughtsman. He was City Surveyor for 13 years from 1887 to 1901. He was commissioned by the Council to visit Europe from 1896 to 1897 to report on various aspects of municipal government. He was a member of the Institution of Civil Engineers, England, and president of the Local Government Engineers Institute of NSW. In 1902, he retired to work in private practice as a civil and consulting engineer. 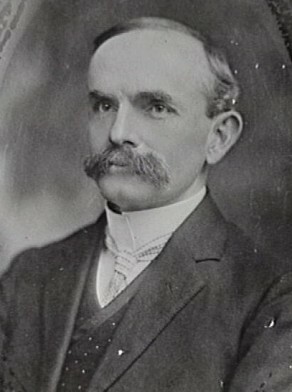 He took an appointment as the town clerk of Dunedin in New Zealand, from 1904 to 1911, before returning to Council service in Sydney. He was an amateur actor with a keen interest in the theatre. Richards inaugurated the Lord Mayor’s Patriotic Fund during World War I and was prominent in other patriotic activities. He was an executive member of the Red Cross Society. Sir Richard Richards was created a Knight Bachelor in 1920. Richard Richards was Alderman for Cook Ward, 1 December 1902 to 25 November 1905 and 2 December 1912 to 30 November 1915 and for Lang Ward, 23 May 1917 to 12 March 1920. He was a member of the Works Committee in 1903 and 1917 and the Staff and Labour Committee and the Parks and Recreations Committee in 1903, the Finance Committee in 1904-05 and 1913, the Health and By-Laws Committee in 1904 and 1917 and the Electric Lighting Committee in 1913 and 1918. Richards was Lord Mayor from 1914 to 1915 and again from March 1919 when the incumbent John English died until his own death in March 1920. Sydney Morning Herald 13 March 1920, p.